The Art Institute of Fort Lauderdale is college with 1924 students located in Fort Lauderdale, FL. What is a typical The Art Institute of Fort Lauderdale student like? Describe the type of person that should attend The Art Institute of Fort Lauderdale. Creative. We are arts students to the core. Whether it is graphics, web, fashion or culinary, we all strive to create daily. What are the top 3 reasons someone should attend The Art Institute of Fort Lauderdale? Small classes, career driven course load and a school that understands that you want to be hands on, creative and successful. What was a typical The Art Institute of Fort Lauderdale student like in high school? Describe the type of person that should attend The Art Institute of Fort Lauderdale. The kind of person that should attend the school is someone who should be ready for anything especially if your in the photography and illustration programs. Fort Lauderdale is a metropolitan city with an international flair, and yet it maintains a hometown spirit. There's something for every personality and lifestyle that overflows into The Art Institute of Fort Lauderdale campus, making this a very special place to pursue a design, fashion, media or culinary arts education. Enjoy the beach, museums, art festivals, concerts and sports of all kinds. Get involved with community projects. Make friends with other students who share your passion for creativity and self-expression. The diversity of students from many countries around the world will expose you to various cultures and traditions. And who knows? The person sitting next to you in class could be your future partner in business. It's happened many times. 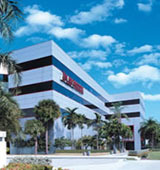 The Art Institute of Fort Lauderdale, located in the heart of a city known as the "Venice of America" due to its many waterways, opened its doors in 1968 to welcome a small number of students interested in only one of three fields of study - Commercial Art, Interior Design and Fashion Illustration. Through the years, the curriculum has been refined to include a wide spectrum of visual, applied arts, culinary arts or other business-related fields to service multimedia and technology fields. Our programs are designed not only to help develop your creativity but also to make you marketable to employers after graduation. The Art Institute of Fort Lauderdale's dedicated faculty understands what you need to succeed since they are industry professionals. You'll find fast-paced insight from leading members of the professional community, classes sized to ensure that you get individual attention, and lots of hands-on experience to refine your skills. From Admissions to Financial Aid to Student Affairs and Career Services, The Art Institute of Fort Lauderdale's knowledgeable staff is ready to support and encourage you toward one common goal - a portfolio and resume that qualifies you for employment opportunities. After you have discovered Fort Lauderdale, shake the sand off your shoes, tuck away your roller-blades, fold up your shopping bag and get ready for an education that will last a lifetime. When you enter the doors of The Art Institute of Fort Lauderdale, you'll discover a college with an emphasis on providing you with a quality education in a stimulating and creative environment that enables you to pursue and attain your career goals. What are the top 3 things that students do for fun at The Art Institute of Fort Lauderdale? Gather in the student common area (Tampa Campus) Meet up in Ybor City for Culture events (Tampa Campus) Have great meals at affordable student price on campus at the Tutored Chef. Campus housing is available for undergraduates. Housing deposit : $275.00. Freshman allowed to have car. No pets. 9% of freshman live on-campus. The average student pays $25,158 for tuition, fees, and other expenses, after grants and scholarships. Total stated tuition is $17,604, in-state and on-campus, before financial aid. Learn more about financial aid at http://www.artinstitutes.edu/fortlauderdale/financial.asp. Want more info about The Art Institute of Fort Lauderdale? Get free advice from education experts and Noodle community members.